This category features information on ads in Poptropica. Read them fast because the ads don’t last forever! Hey guys! Spotted Dragon here with another Poptropica recap! Well, we’re trying something a little bit different this time. We’ve got over 40 full Islands on the site already. That’s great for most players, but some of those Islands — okay, most of them — are very complex and challenging! That’s why we’re putting our efforts toward a new Island especially for first-time players. It’s shorter than most, with simpler objectives. The idea is to let new players understand how to approach the challenges of Poptropica and give them the tools they need to crack some of the tougher Islands, like Escape From Pelican Rock. If you’re already a Poptropica expert, fear not! We think you’ll like this Island too. It’s got some fantastic art, great gameplay, and hilarious characters. In other words, everything you love about Poptropica! We’ll let you know when this new Island is available. It’s coming soon! The Daily Pops above are perfect examples of what may be sneak peeks for the upcoming island. Lots of monkey related pictures, huh? What about all the other animals of the world? What about pandas?!? Well don’t worry, Poptropica has got that covered too. Anyway, moving on. The Creators have been posting a lot of things on Twitter. Specifically, one creator in particular. Why? Because the Twitter account is officially being run by Skinny Moon! Also known as Jessica. The Twitter, and Poptropica’s other social media accounts, seem to be a lot more active now. If you aren’t following the Creators, you should! They post lots of cool things like concept art, sneak peeks, and even things from fans! Hey guys! SD here with a cool Poptropica update. 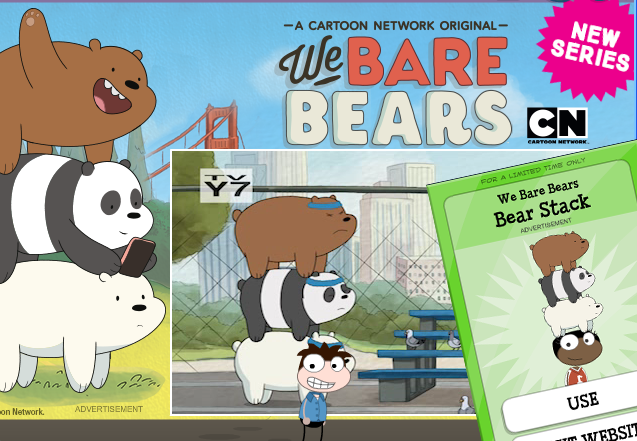 First off, there is a new unbearable ad that has appeared. There are two new items in the Poptropica Store, each only 75 credits! First is Hat Trick, which has three different hats included in it, but it’s different for girls and boys. The second item is Capes ‘n’ Cowls, which includes three different capes with hoods. Hey guys! There are a few new ads on Poptropica, which can be found on Main Streets such as those on Spy Island, Early Poptropica, and Charlie and the Chocolate Factory. Let’s look at the Odd Squad ad first. All you have to do is watch a quick video to earn your prize! Boys get the Agent Otto costume and girls get the Agent Olive costume. 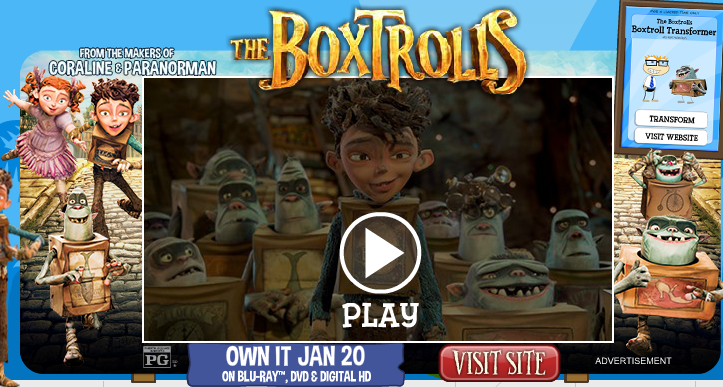 Another ad is for BoxTrolls, and again, all you have to do is watch a quick video! Afterwards, you will get the BoxTrolls Transformer. When you click “transform”, all the Poptropicans near you will become BoxTrolls! 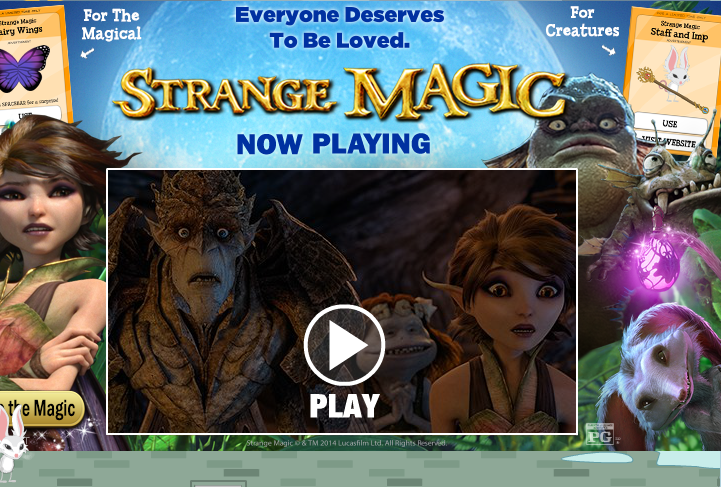 There is also an ad called Strange Magic! The ad can be found on islands such as Charlie and the Chocolate Factory. All you have to do to earn your prize is watch a quick video (a trailer for the movie). Girls get Fairy Wings and I assume boys get a Staff and Imp Costume. If space bar is pressed while wearing the wings, a short scene will play out where an imp will appear on screen and your Poptropican will fly. That’s it on ads! Keep a lookout for an upcoming Poptropica Realms post! Hey guys! The Creators have been checking out Tumblr recently and they’ve been taking screenshots of specific posts. Check them out! Cute! Sadly, there haven’t been any behind the scenes images for any islands. Hopefully these random sketches (made by bored creators) and this buggy video will suffice. Also, on Night Watch Island for a limited time, there is is a dance party for girls (sorry guys). You can chat, battle, make friends, and get two costumes and a dance party power. Visit it before it’s gone! Ads & Arabian Nights: October 2nd! 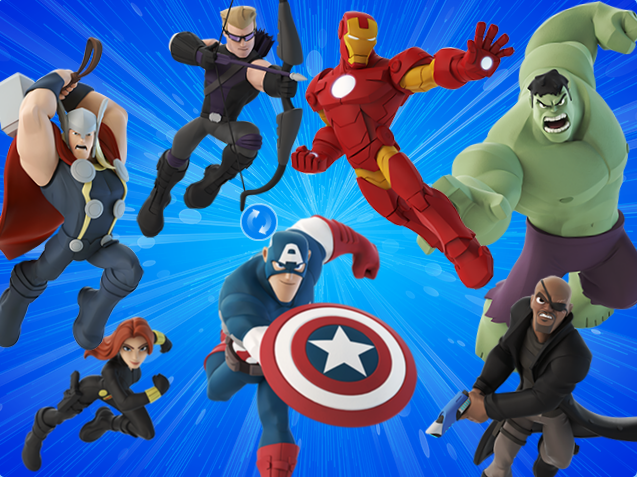 First up is Disney Infinity, which now includes superheroes. You can find it on Reality TV island. 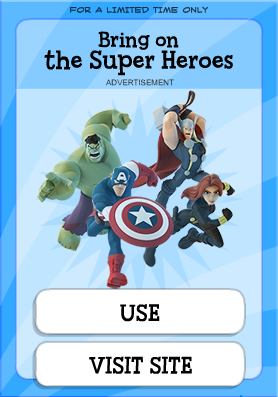 All you have to do is watch a video to earn your prize, which is a “Bring on the Super Heroes” power. When activated, a screen appears with a few Marvel super heroes, but that is pretty much it. 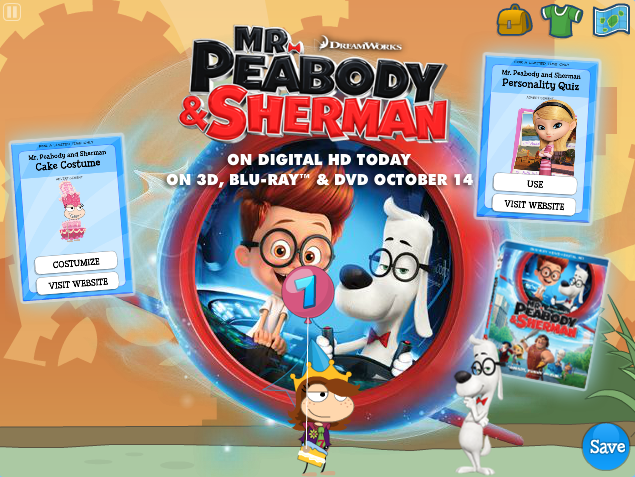 The second ad is for Mr. Peabody and Sherman, coming to Blu-Ray and DVD on October 14. You can find it on Steamworks island. Hey guys! 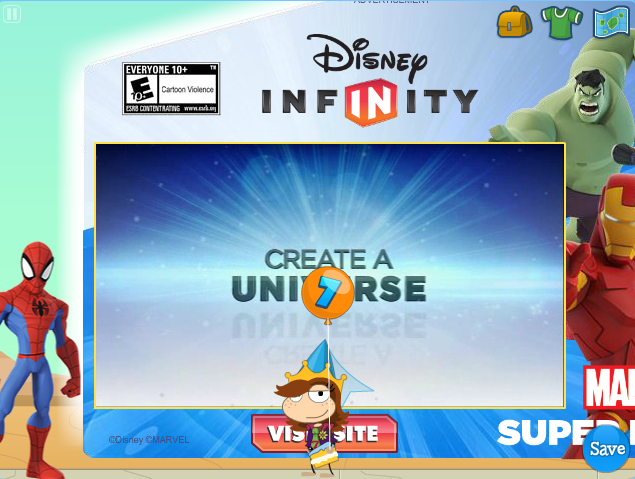 While just walking around Poptropica, I encountered a new Disney XD ad! Anyways, when you enter you’ll be sent through this weird portal thing. So, it’s a common room but there are three other games you can play, and if you win them all you get a prize. Let’s start off with the Funhouse, to your right. Sooo, it’s like an obstacle course I guess. After you finish it, you’ll get a Steve the Llama Follower. That’s actually it. I’m not kidding. That’s uh, interesting. Let’s take it off before I get the feeling someone’s stalking me. *whips head around* Hmm… Ok, let’s go the next game, Mabel’s Water Race on the left. Anyways, in this game you have to shoot the target and keep it on the bullseye. You can choose a character and just move your mouse over the bullseye. Now there’s only one more game left, the 7D Mines which is up on the second floor.